Dupaco Credit Union - Did Dupaco really mail that to you? If you’ve received a postcard or letter concerning your mortgage lately, the sender might not be who you think it is. Several Dupaco Community Credit Union members, including credit union employees, have recently received postcards alerting them to “an important matter” concerning their Dupaco mortgage. Recipients are encouraged to call a toll-free number regarding the “time-sensitive” issue. 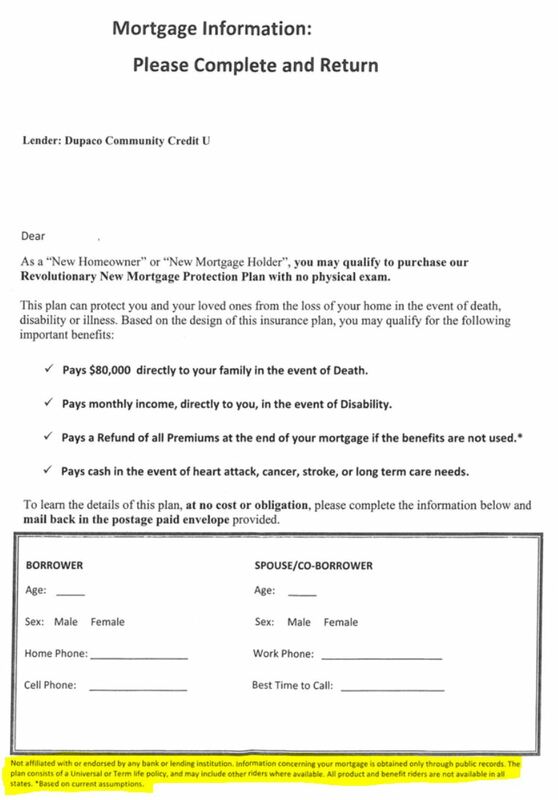 Here’s the catch: The mailing did not come from Dupaco—nor was the mortgage information provided by your credit union. You have recently closed on this mortgage with DUPACO COMMUNITY CU. We need you to please call us about an important matter regarding this loan. This is time sensitive so please call us at … as soon as possible. The letter also includes a mortgage ID number, looking extra official. 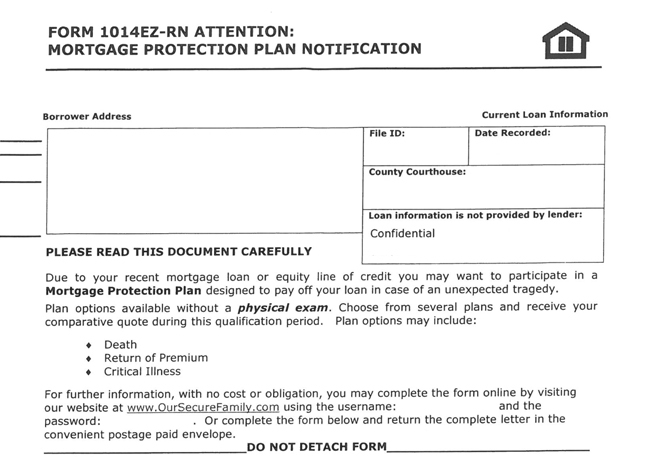 But when you read the fine print, inconspicuously located at the bottom of the mailing, you learn that the information was provided by Mortgage Protection Services, not your credit union. Slattery received his postcard last week, even though his mortgage is five years old. The number provided on the postcard connects you with a company that calls itself Mortgage Protection Services. An automated recording prompts you to provide the mortgage ID number listed on your mailing. Through computerized prompts, you’re told where your mortgage is held and when it was filed. The message states that records show you were never offered mortgage payoff protection when you closed on your mortgage. The message then prompts you to provide information about yourself. Mortgages are public record, so the company is simply searching recorded mortgages and targeting those homeowners to solicit their product, according to Slattery. This isn’t the first time Mortgage Protection Services has done this. In addition to several negative online reviews, there is a cease and desist order in Massachusetts for the same company using the same sales tactic. It’s important to remember how Dupaco will communicate with you. Your credit union uses a variety of ways to communicate directly with members, including U.S. mail, phone, email, messages within Shine Online Banking and more. But Dupaco does not send you private information on a postcard. “That’s not something you do from the credit union’s perspective,” Slattery said. When in doubt, call Dupaco directly. Want to take further action? If you’ve received one of these postcards—or other mailings made to look like they came from your credit union—you can file a complaint with the Iowa Attorney General’s Consumer Protection Division.